? 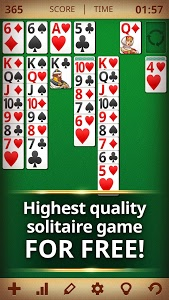 Try NOW Solitaire Classic and have endless hours of fun, just like in your old desktop PC! ? Experience again the crisp & thrill of winning with the celebration sounds and animations you’re so familiar with! Customize your card decks with nice landscapes or color patterns at the purest retro vintage style. Double tap to place the cards in their columns or drag them sliding with your finger each card. 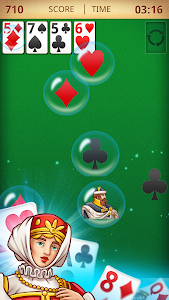 You'll get hints and unlimited undos in the easy mode, but don't expect to win so easily in hard mode: Only the true kings of solitaire games and patience will be able to clear their decks!
? Stick to the Classics & test your patience! Become the owner of the most original version, of your favorite time killer! 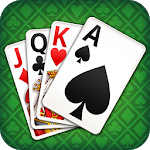 Download NOW Solitaire Classic & enjoy playing anytime and anywhere! ? 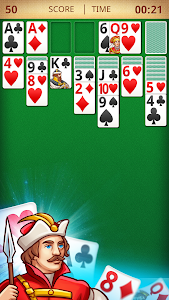 All the lovers of free solitaire modality will totally love our new version!
? The most classic solitare games free of boring modern modalities is here! 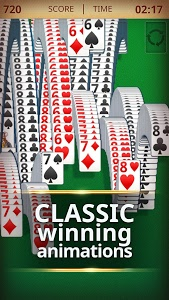 Download it NOW for FREE and add it to your collection of solitaire games & patience classic card games! Keep your mind in shape while playing our solitare! ?